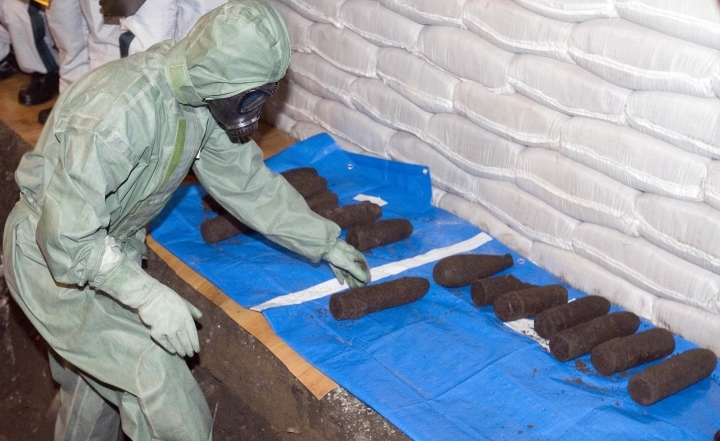 BEIJING — China's military said Tuesday that more than 2,500 abandoned Japanese wartime chemical weapons collected from northern China, including Beijing and the port city of Tianjin, have been destroyed in a four-year disposal process. Japan and China have been working together on the biggest chemical weapon cleanup effort in history, a decades-long, diplomatically sensitive project that is seen in China as a reminder of the wartime atrocities it suffered during Japan's 1937 invasion and subsequent occupation. China's ministry of defense said Tuesday that the weapons' disposal at a facility in Shijiazhuang city in Hebei province, neighboring Beijing, had finished in a "safe, orderly and smooth manner." The weapons are generally burned in specially designed furnaces. 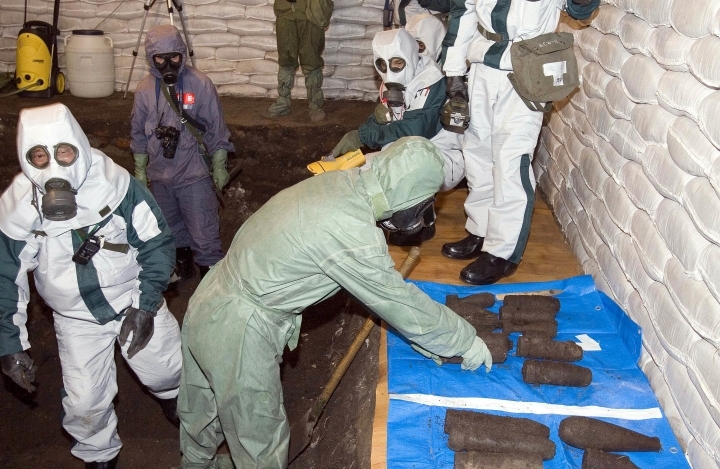 The remaining pieces of Japanese chemical weapons are difficult to find and destroy because they were scattered widely, the ministry said. It urged Japan to "increase manpower and resources" to finish the job. China has repeatedly urged Japan to speed up the project, which was initially scheduled to be completed in 2007 but has hit delays.